#HappyEarthDayAmerica ! This Saturday, April 22, 2017 will mark the 2nd year of Earth Day's five-year countdown for the 50th anniversary April 22, 2020! Just 3 more years to go! 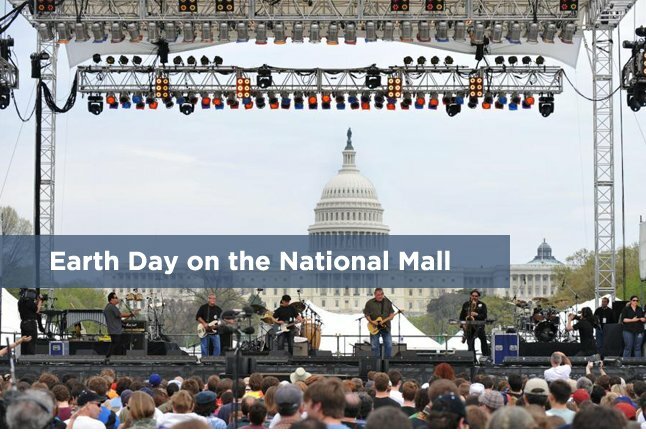 Earth Day 2017 would love for you to register your own Earth Day 2017 event and/or look for an event near you. 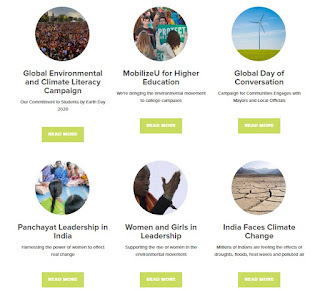 You can register to join this movement by visiting the Earth Day Network page http://www.earthday.org/earth-day . You can find events in our area by visiting the Earth Day 2017 Google post for North America and for other parts of the world too. Would you believe it, today is Earth-Day’s 46th event and 45th B-Day (April 22, 2015)? It was on April 22nd, 1970 when the very first Earth Day event was celebrated nationwide. A time when the norm was hippy-happy flower-child culture, psychedelics, the passing R&B icons Jimi Hendrix and Janis Joplin, Simon & Garfunkel “Bridge Over Troubled Water" song, college students streaking across campuses protesting the Vietnam war, etc. Also a time of top network TV programs "Rowan & Martin's Laugh-In," "Gunsmoke," "Captain Kangaroo," "The Carol Burnett Show," and "I Dream of Jeannie." Who would think Earth Day would also mark the modern environmentalist movement? It was April 22, 1970, the first Earth Day, that led to the creation of the United States Environmental Protection Agency and the passage of the Clean Air, Clean Water, and Endangered Species Acts. 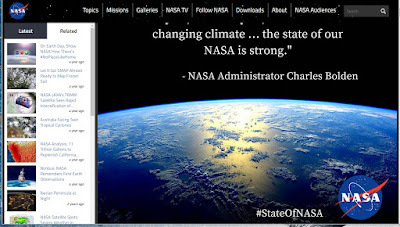 #EarthDay #EarthDay 2015 marked the 2nd year of NASA's global social media campaign. 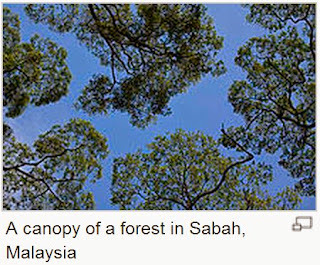 Earth Day is not just about water and sustainability." 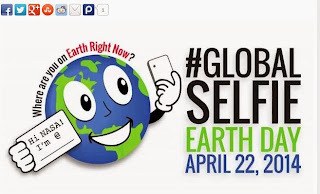 Earth Day 2014 marked the first #GlobalSelfie SOCIAL MEDIA CAMPAIGN from NASA. 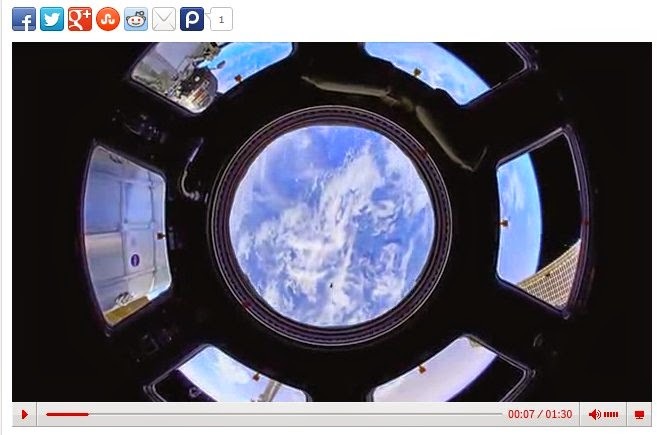 Click here to view NASA's promotion video for Earth Day from 2014 #GlobalSelfieEarthDay #EarthRightNow #EarthDay Social Media Campaigns. Do you think our leaders are capable of implementing a realistic, sustainable climate control program? Some are (hopefully most), and I hope they put government spending into perspective and stop subsidizing the ultra-rich for their quaky, snake-oil programs. "We the people" need to know the real facts behind the outrageous ultra-rich alternative fuel subsizing. "It's nice that someone managed to run his car on liposuction leftovers, but that doesn't mean he needs to be subsidized ... But why not at least agree that governments shouldn't pick losers to be winners? Unfortunately, that's exactly what is happening. The world is rushing to promote alternative fuel sources that will actually accelerate global warming, not to mention an alternative power source that could cripple efforts to stop global warming ... This is not just a climate disaster. The grain it takes to fill an SUV tank with ethanol could feed a hungry person for a year; biofuel mandates are exerting constant upward pressure on global food prices and have contributed to food riots in dozens of poorer countries. Still, the United States has quintupled its ethanol production in a decade and plans to quintuple its biofuel production again in the next decade. This will mean more money for well-subsidized grain farmers, but also more malnutrition, more deforestation, and more emissions. European leaders have paid a bit more attention to the alarming critiques of biofuels -- including one by a British agency that was originally established to promote biofuels -- but they have shown no more inclination to throw cold water on this $100 billion global industry ..." ~~ Michael Grunwald, writer, journalist, author; and a senior national correspondent at Time magazine. Quotes taken from his article "Seven Myths About Alternative Energy"
Obviously, according Grunwald's article on ForeignPolicy.com article (2009) titled "Seven Myths About Alternative Energy, the energy alternatives aren't magic tickets and they are not sustainable. WILL YOU BE CELEBRATING EARTH DAY BY SHARING YOUR FAVORITE PLACE ON EARTH USING #NoPlaceLikeHome ? 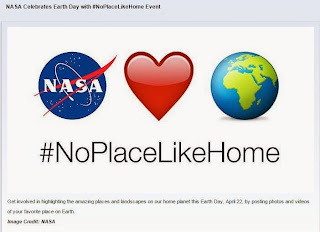 Share your #NoPlaceLikeHome with your favorite social media and show support for "sustainable environmental programs" that cost significantly less and are more effective than the current government subsized programs that are unsubstantiated. 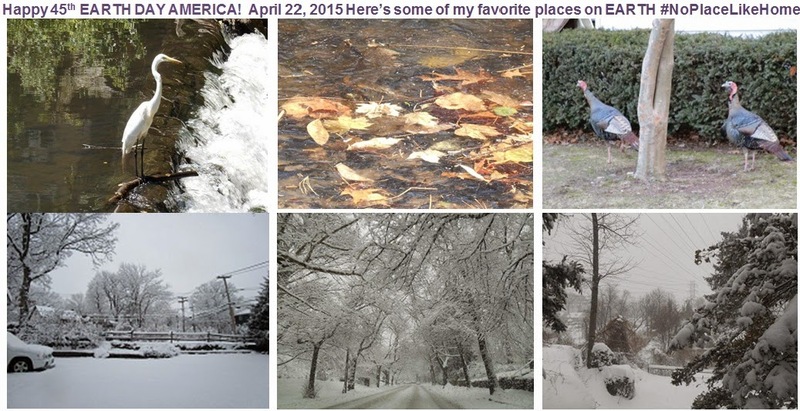 My #NoPlaceLikeHome will be posted soon Where's yours? Earth Day is a national holiday created to celebrate the Earth and environment. The first Earth Day was April 22, 1970, and was a response to the environmental crisis at the time, which included extremely polluted water and air. The Environmental Protection Agency was created the same year as a result of activism and widespread popular support for cleaning up the environment. Children became very aware as many school programs brought about awareness of pollutants in the air and the importance of caring for the planet we live on. Earth Day is now coordinated globally by the Earth Day Network, and is celebrated in more than 175 countries every year. The Earth Day Logo, above right, became the Official Earth Week logo that was used as the backdrop for the prime time CBS News Special Report with Walter Cronkite about Earth Day beginning 1970 through 1996. In 2009, the United Nations designated April 22 International Mother Earth Day. Earth Day is planned for April 22 in all years at least through 2015. It may or may not change thereafter. Earth Day is credited to Gaylord Nelson, then a U.S. Senator from Wisconsin, after witnessing the ravages of the 1969 massive oil spill in Santa Barbara, California. Inspired by the student anti-war movement, he called for an environmental teach-in, or Earth Day, to be held on April 22, 1970. Over 20 million people participated that year, and this Earth Day is now observed on April 22 each year by more than 500 million people and several national governments in 175 countries. Ecology Flag, photo to the right, was created by cartoonist Ron Cobb in 1969. Google Celebrated Earth Day 2012 with an animated Flower-power Doodle on its home page, photo left. For 2014, Google created a lovely doodle with many different eco-creatures from the lovely humming bird to the not-so-lovely beetle dung; I was pretty grossed out by that portion of the animated doodle. To view go to google.com and share what you think. 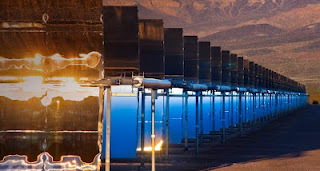 Bing Celebrated Earth day 2012 with a picture of Nevada Solar One at sunrise in the Mojave Desert near Boulder City, Nevada, photo right. 1968 - Morton Hilbert and the U.S. Public Health Service organized the Human Ecology Symposium, an environmental conference for students to hear from scientists about the effects of environmental degradation on human health. This was the beginning of Earth Day. 1969 - The Ecology Flag was created by cartoonist Ron Cobb and published on November 7th in the Los Angeles Free Press, then placed in the public domain. The symbol is a combination of the letters "E" and "O" taken from the words "Environment" and "Organism," respectively. 1970 - The first Earth Day proclamation was issued by San Francisco Mayor Joseph Alioto on March 21, 1970. Nelson chose the date April 22nd in order to maximize participation on college campuses for what he conceived as an "environmental teach-in". He determined the week of April 19–25 was the best bet as it did not fall during exams or spring breaks. Also, it did not conflict with any religious holidays. 1972 - United Nations secretary-general Kurt Waldheim observed Earth Day with similar ceremonies on the March equinox in 1972, and the United Nations Earth Day ceremony has continued each year since on the day of the March equinox (the United Nations also works with organizers of the April 22 global event). 1990 - The Earth Day 20 International Peace Climb was led by Jim Whittaker, the first American to summit Mt. Everest (many years earlier), and marked the first time in history that mountaineers from the United States, Soviet Union and China had roped together to climb a mountain, let alone Mt. Everest. The group also collected over two tons of trash (transported down the mountain by support groups along the way) that was left behind on Mount Everest from previous climbing expeditions. The master of ceremonies for the Columbia Gorge event was the TV star, John Ratzenberger, from "Cheers", and the headlining musician was the "Father of Rock and Roll," Chuck Berry. 2000 - Earth Day 2000 combined the ambitious spirit of the first Earth Day with the international grassroots activism of Earth Day 1990. This was the first year that Earth Day used the Internet as its principal organizing tool, and it proved invaluable domestically and internationally. Kelly Evans, a professional political organizer, served as Executive Director of the 2000 campaign. The event ultimately enlisted more than 5,000 environmental groups outside the United States, reaching hundreds of millions of people in a record 183 countries. Leonardo DiCaprio was the official host for the event, and about 400,000 participants stood in the cold rain during the course of the day. 2009 - May 5, 2009 editorial in The Washington Times contrasted Arbor Day with Earth Day, claiming that Arbor Day was a happy, non-political celebration of trees, whereas Earth Day was a pessimistic, political ideology that portrayed humans in a negative light. 2011 - A Billion Acts of Green (®) – A "people-powered campaign to generate a billion acts of environmental service and advocacy before Rio +20" (as well as a registered trademark). 2012 - Earth Day 2012 – Mobilize the Earth 2013; Google Celebrated Earth day 2012 with an animated Doodle on its home page; Bing Celebrated Earth Day 2012 with a picture of Nevada Solar One at sunrise in the Mojave Desert near Boulder City, Nevada. 2013 - The Face of Climate Change. 2014 - Earth Day 2014 – Green Cities + Mobilizing Millions of People to Create a Sustainable, Healthy Environment by Greening Communities Worldwide. 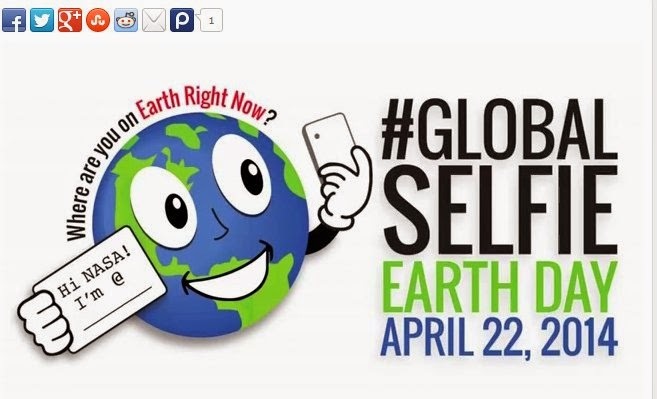 First Earth Day 2014 "SOCIAL MEDIA SELFIE CAMPAIGN" launch. If you have additional resources please list them in comments and I will add to post. Thanks.